You're not going to see that headline about the Chicago real estate market anywhere else this month. 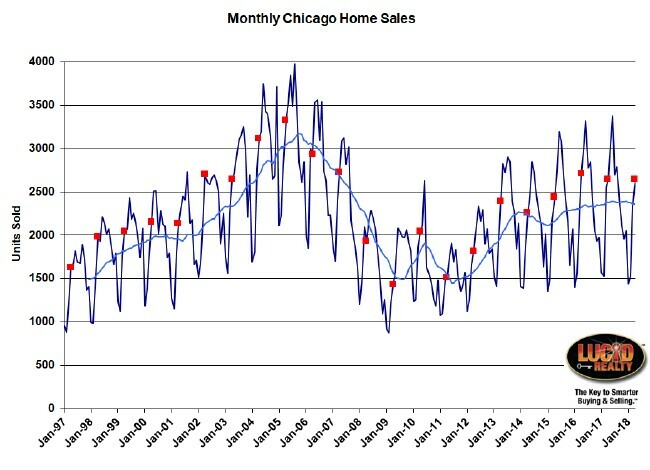 If you will recall, last month I wrote about how Chicago had really weak home sales for March compared to the previous year. However, I also pointed out that, with the exception of that previous March, this March actually had the strongest home sales in 11 years. Well, April looks like it's going to be a similar story, only a teeny bit better. 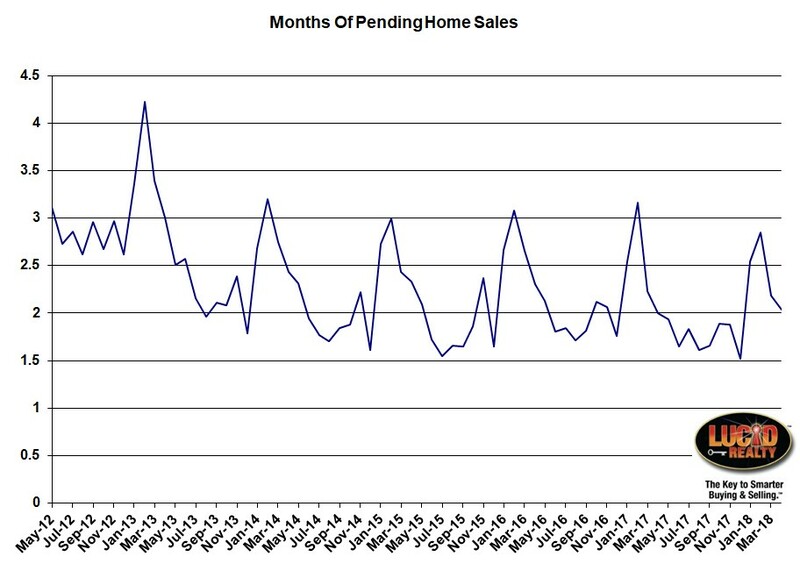 Because the April sales numbers are still a bit preliminary you won't be able to tell this from the graph below but compared to the preliminary home sales numbers in other Aprils this year already registers as the strongest sales in 11 years. April edged out last year by 2.4% and 2016 by 0.8%. All these nuances will be missing from the Illinois Association of Realtors press release in about 2 weeks. Because they compare the preliminary April sales figures to the final sales figures from last year they are going to report a mere 0.1% increase in sales from last year and they will also mistakenly believe that sales were lower than in 2016. All the Aprils have been flagged in red in the graph below and I also have a blue, 12 month moving average of the sales numbers. Looking at that moving average you can see that we have really lost steam on the sales front despite some recent record highs. 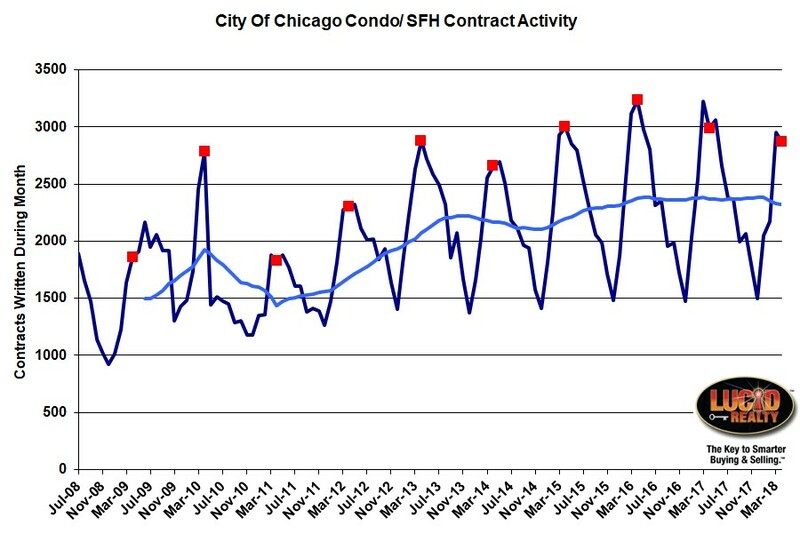 Home sale contract activity continues to be weak. Looking at the graph below you can see that April had the lowest contract activity in the last 4 years and even a bit lower than 2013. I'm estimating that April contracts will prove to be down by 3.9% from last year. In addition, the moving average continues to trend down. None of this bodes well for future closings. Pending home sales at the end of April represented a 2.03 month supply of closings, up very slightly from 2.00 months last April. That's not a huge increase but it does mean that we have a few more closings in the bank for the next month or two - just not enough to make a difference in the sales numbers. As expected the percentage of home sales that are distressed went down once again but looking at the graph below you can see that the rate of decline is slowing down - as it must with us approaching zero. April hit another record low of 8.2% compared to 9.8% last year. Once again the story is that there just aren't enough homes to go around and that's what's depressing home sales. The inventory of detached and attached (condos/ townhomes) homes keeps hitting new lows and both types of homes are now firmly in the official region of a "seller's market". Detached homes, which had logically been at higher inventory levels than attached homes, has been dropping pretty rapidly while attached homes have been flat for a few months. Detached homes fell from a 4.7 month supply last year to a 3.5 month supply in April but the inventory of attached homes actually rose to a 3.3 month supply from a 3.1 month supply last year. For the first time in 5 years the inventory of detached homes is approaching that of attached homes. Of course the age old question is "With inventory so low why aren't Chicago home prices going up faster"? At least market times are going in a direction consistent with inventory levels. It took slightly longer for attached homes to sell (when they did sell) than last year - 73 days vs. 68 days last year. Detached homes that sold did so in only 96 days, down from 108 days last year. 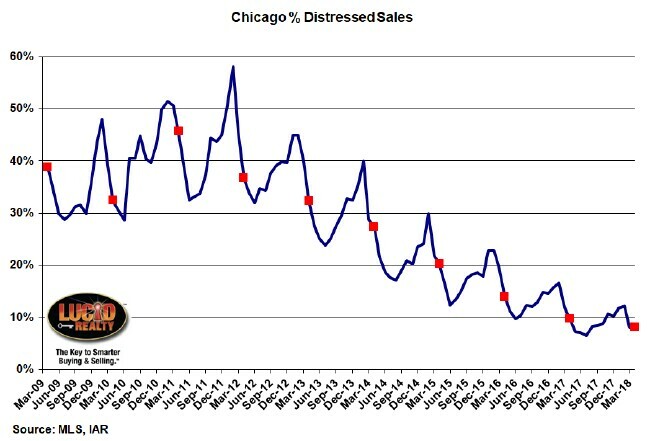 If you like this type of information we also maintain additional Chicago area real estate market data on our Web site. Actually, we maintain that information even if you don't like it.